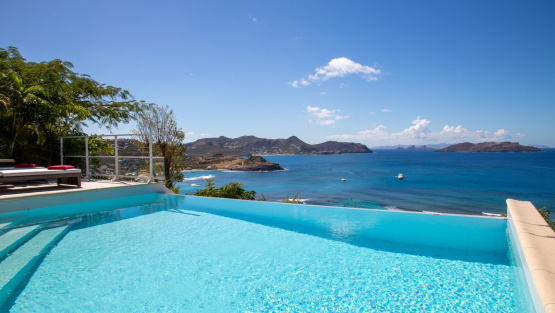 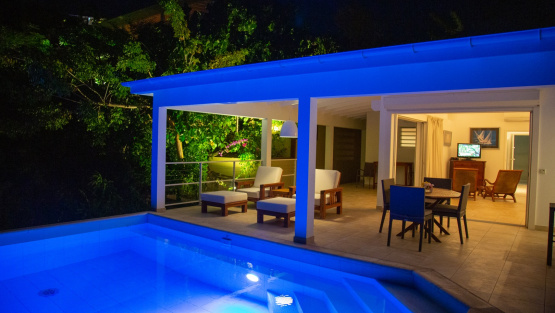 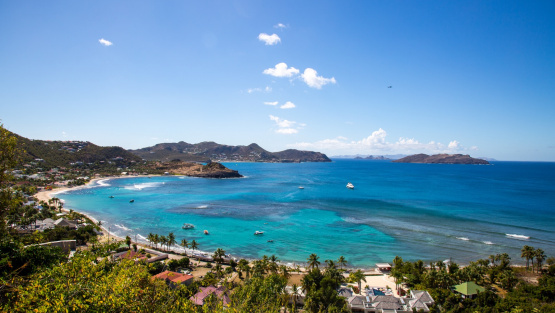 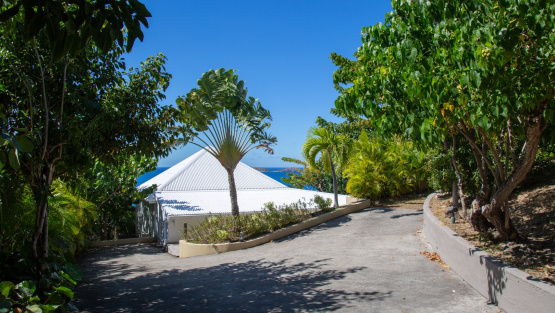 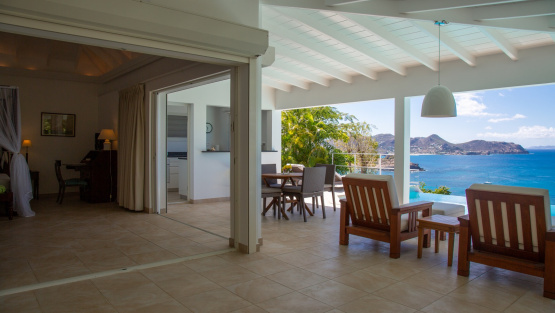 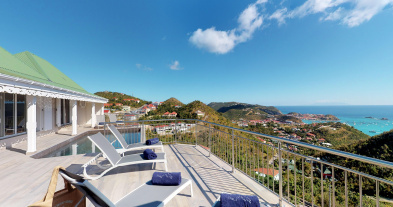 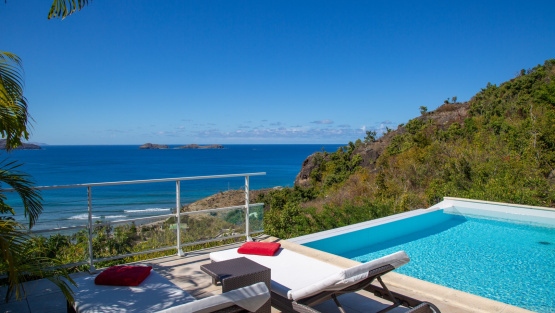 Villa TORTUE is the perfect getaway for a couple, this is your next private escape! 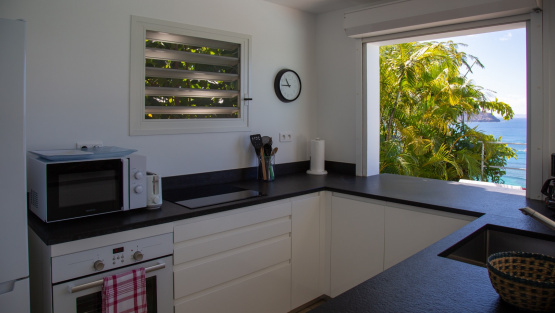 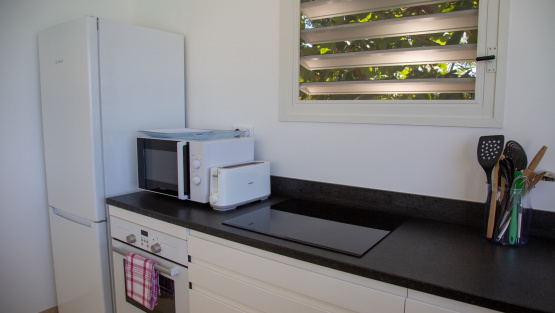 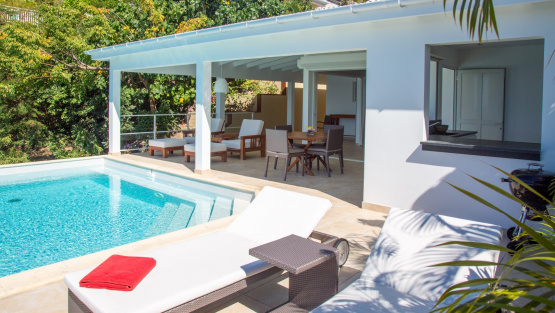 Villa TORTUE, is a 1 bedroom villa in Lorient within minutes of the beach, restaurants, and shopping. 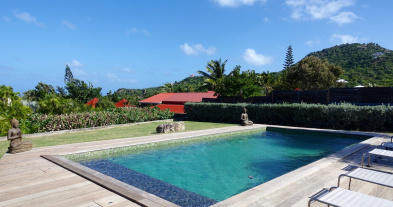 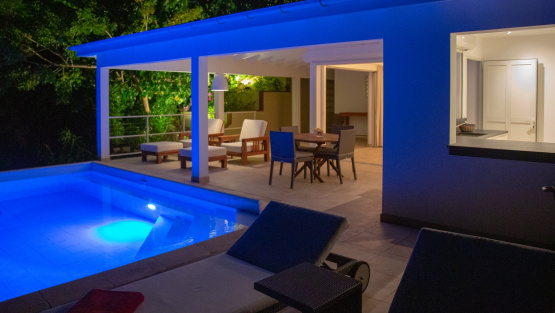 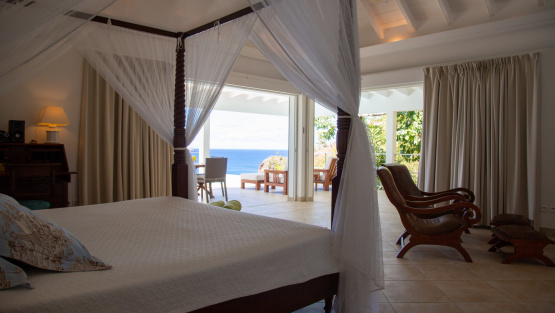 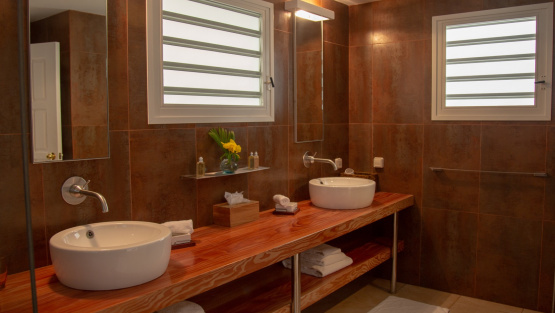 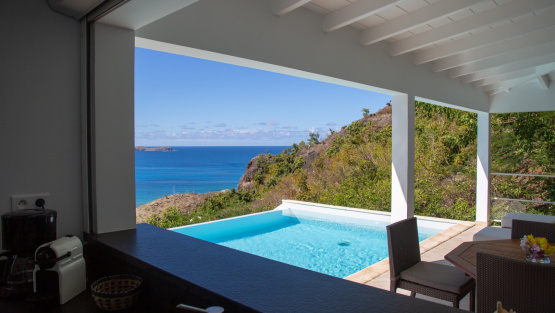 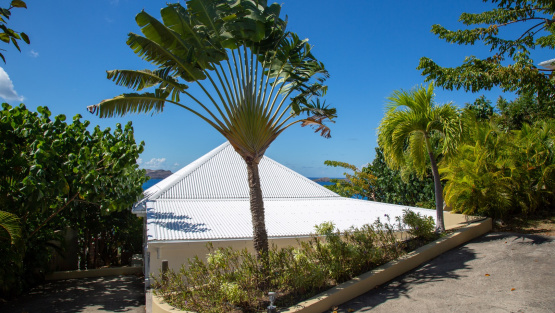 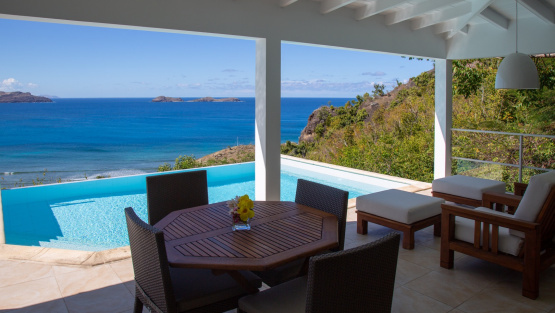 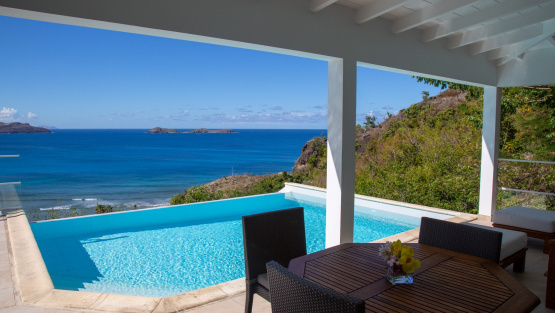 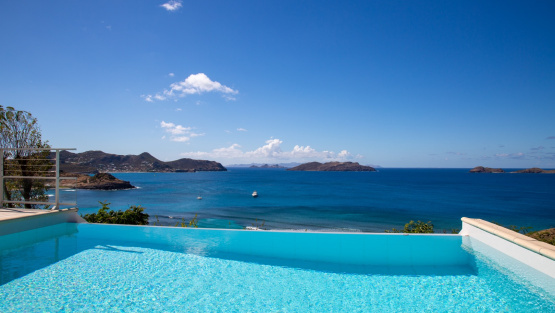 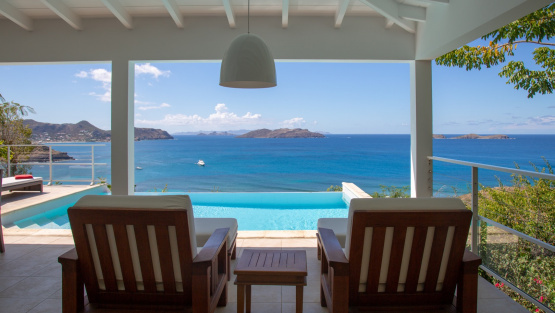 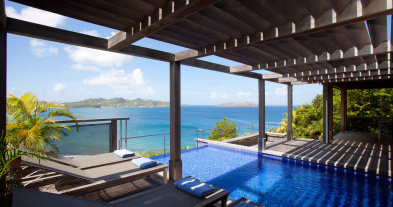 The villa offers dramatic views of the ocean and surrounding islands, Villa TORTUE pampers its guests with contemporary design and elegant furnishings. 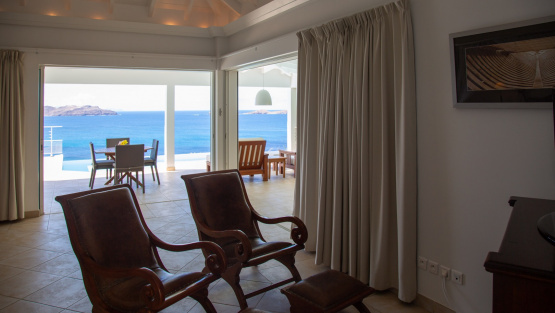 The integrated living area and bedroom open onto the bright terrace, inviting infinity pool, and spectacular ocean view. 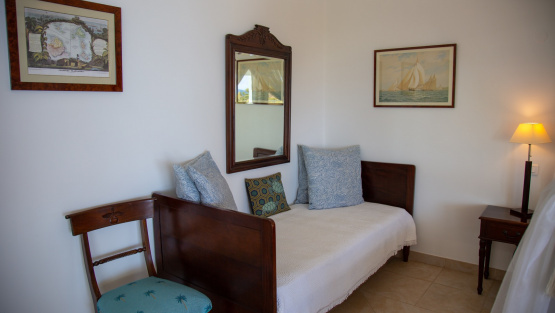 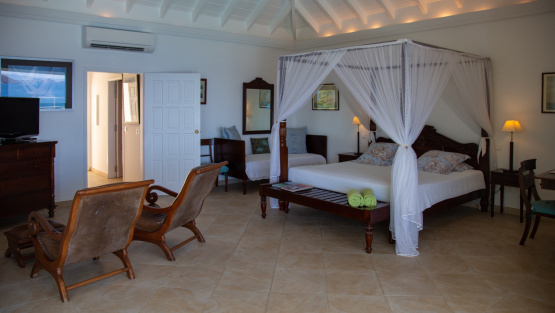 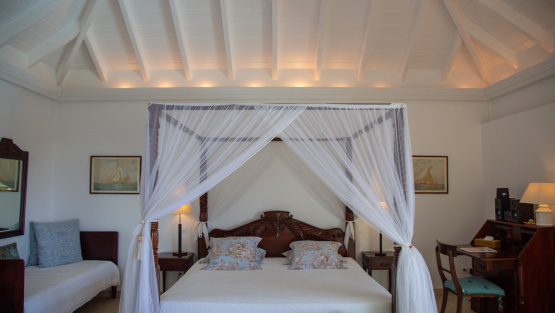 This space is furnished with a colonial style, 4-poster king bed and lovely antique pieces. 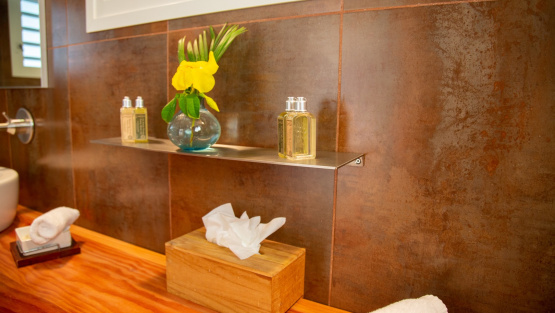 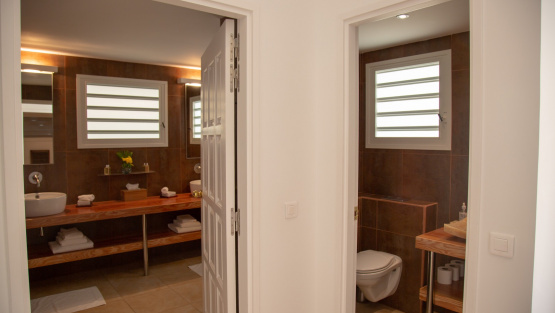 A large, modern bathroom and dressing area is also located at the entrance. 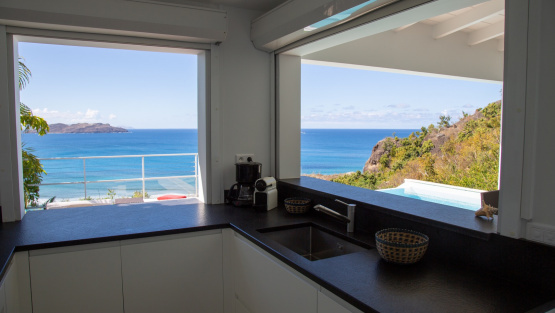 The kitchen is located under a covered terrace and opens to the outdoor, covered dining and living areas that face the sea. 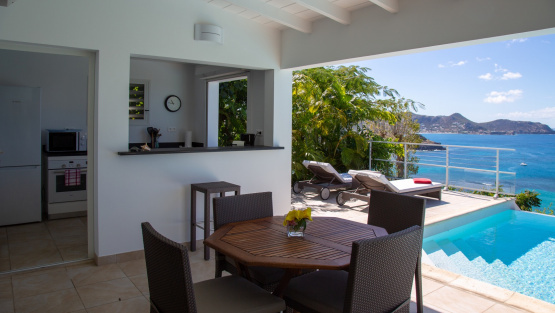 The terrace offers lounge chairs for either sunbathing or working poolside. 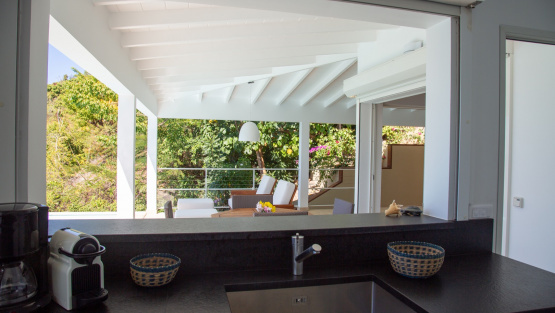 The Villa also has WiFi, a satellite Dish network, and charcoal barbecue. 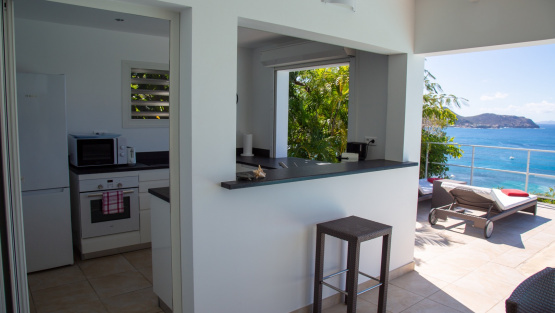 This villa can be rented individually or can be combined with its neighbor, Villa SUCRIER , to make a total of 3 bedrooms. 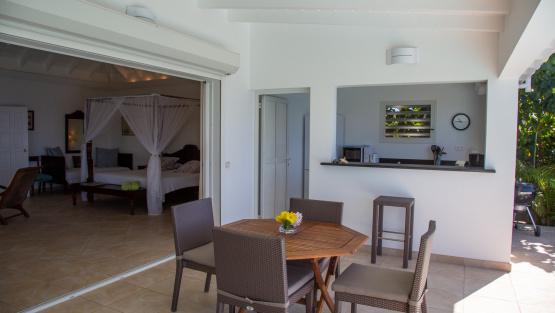 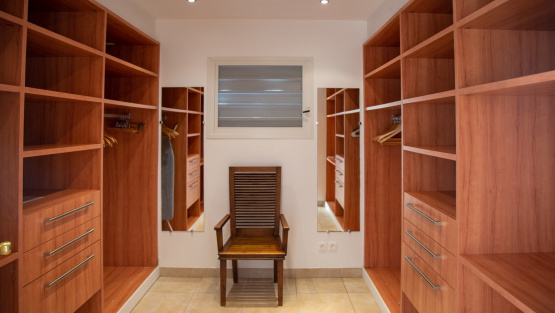 When rented separately, both villas maintain complete privacy. 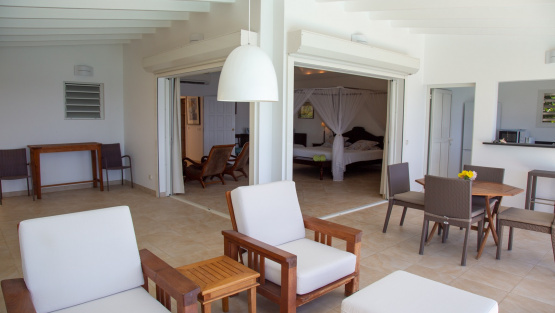 Covered lounge/dining room area on the open terrace facing the pool and overlooking the sea. 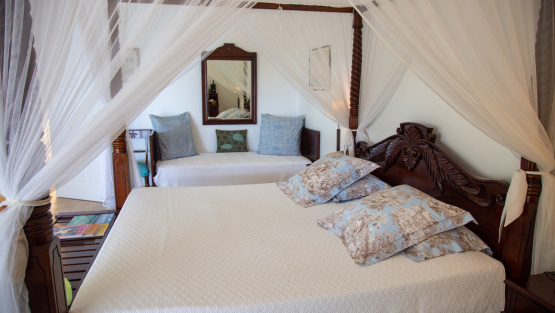 1 King Bed, 1 Twin Bed, Air Conditioning , Ceiling Fan , HDTV, Canal Sat, DirecTV, Dish Network, DVD, iPod connection, phone, programmable safe, dressing room, iron, ironing board, Ensuite Bathroom, rain head shower, Mosquito Netting, hair dryer. 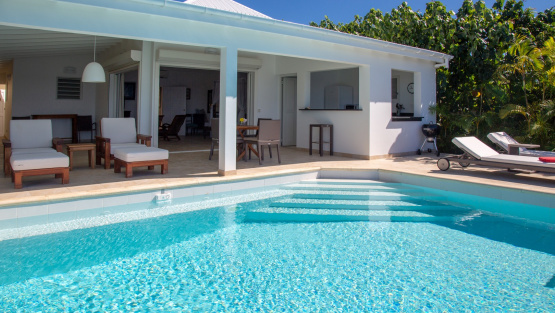 Opens to terrace and pool. 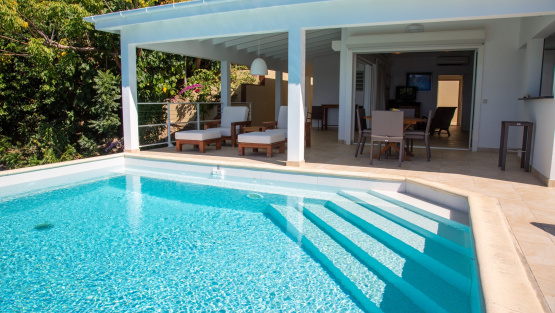 Infinity pool, stairs in the pool, outdoor shower, charcoal BBQ, WiFi, deckchairs. 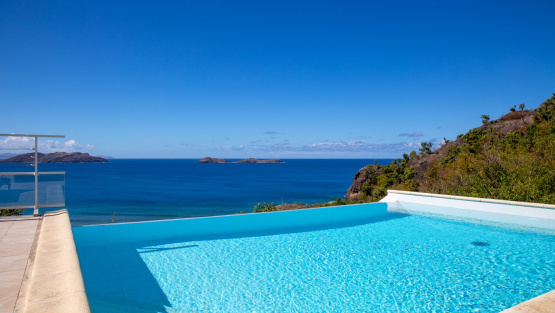 Breathtaking view of the sea.